DUBAI, United Arab Emirates -- Saudi Arabia on Monday ordered the Canadian ambassador to leave the ultraconservative kingdom within 24 hours after his nation criticized the recent arrest of women's rights activists. The Saudi Foreign Ministry also said it would freeze "all new business" between the kingdom and Canada. Some 10 percent of Canadian crude oil imports come from Saudi Arabia. It wasn't immediately clear if Ambassador Dennis Horak was in the kingdom. Saudi Arabia said it would recall its ambassador to Canada as well. The dispute appears centered around tweets by Canadian diplomats calling on the kingdom to "immediately release" women's rights activists recently detained by the kingdom. Human Rights Watch said Wednesday that Saudi Arabia had also arrested women's rights activist Nassima al-Sadah, the Reuters news agency reported. Badawi and al-Sadah were the latest to be caught up in a government crackdown which has seen more than a dozen women's rights activist targeted since May, Reuters reported. Saudi Arabia ended in June its long practice of not allowing women to drive automobiles in the Sunni kingdom. However, supporters of women's rights were arrested just weeks before the ban was lifted, signaling that only King Salman and his powerful son, Crown Prince Mohammed bin Salman, will decide the pace of change. The diplomatic dispute with Canada may be part of that assertive foreign policy pushed by Crown Prince Mohammed under his father. Germany similarly has found itself targeted by the kingdom in recent months over comments by its officials on the Saudi-led war in Yemen. It isn't immediately clear what new business could be affected between the two countries. Bilateral trade between the two nations reached $3 billion in 2016, with tanks and fighting vehicles among the top Canadian exports to the kingdom, according to government statistics. 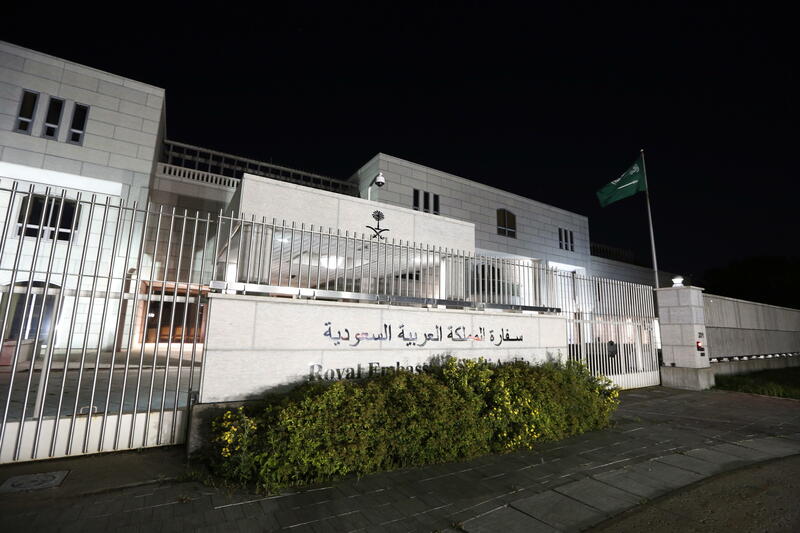 Saudi Arabia in recent years has expelled Iran's ambassador over attacks on its diplomatic posts following its 2016 execution of a prominent Shiite cleric.